SPCC Plans in New Jersey - What you NEED to know! Here's what New Jersey businesses need to know about SPCC Plans. When it comes to SPCC Plans in New Jersey, there's a lot of questions customers of ours have. With confusion around what they are, who inspects them, and what they'll need to do with a SPCC Plan, it's natural for anyone operating a business in New Jersey who either has, or needs, a SPCC Plan to have some questions about the plans and regulations themselves. Just like any other regulation in New Jersey (or on the Federal level), navigating the language can be confusing, especially if you aren't familiar with the terms or manner in which regulations are written. So if you need help with SPCC Plans in New Jersey in any manner, you've come to the right place. Let's cover some of the most basic questions we get asked about SPCC Plans in New Jersey by our customers every day. What is a SPCC Plan? Simply put, SPCC Plans are for facilities that store oil on-site. The plan itself is a guide, in a manner of speaking, on how to handle, treat, store, and in case of an emergency, deal with oil spills or leaks. Often people refer to these as spill plans, oil spill plans, spill response plans, spill control plans, etc., etc. The correct terminology is Spill Prevention, Control, and Countermeasure, or SPCC Plan. For the full, detailed story, check out What is a SPCC Plan? What does a SPCC Plan cover? Many people incorrectly assume SPCC Plans are solely for petroleum products. SPCC Plans cover all forms of oil - animal, mineral, plant based, synthetic. Could be oil, could be grease, could be even be animal fats, regardless, it's covered. Be sure to know the difference between used oil & waste oil to not only make sure you know what's what at your operation, but to ensure you know what's covered, and what isn't. SPCC Plans do not include anything else, just oil. They don't cover DEF, anti-freeze, or any other hazardous material you may have in containers at your operation. How much does a SPCC Plan cost in New Jersey? There's always two things to consider when it comes to dealing with environmental regulations from a cost perspective. The cost to get, have, and live with a permit, approval, plan, etc. If you operate a business in New Jersey, you already know things relating to the NJDEP and environmental regulations can be expensive. And the cost to have someone (like a consultant) get you that permit, approval, plan, etc. 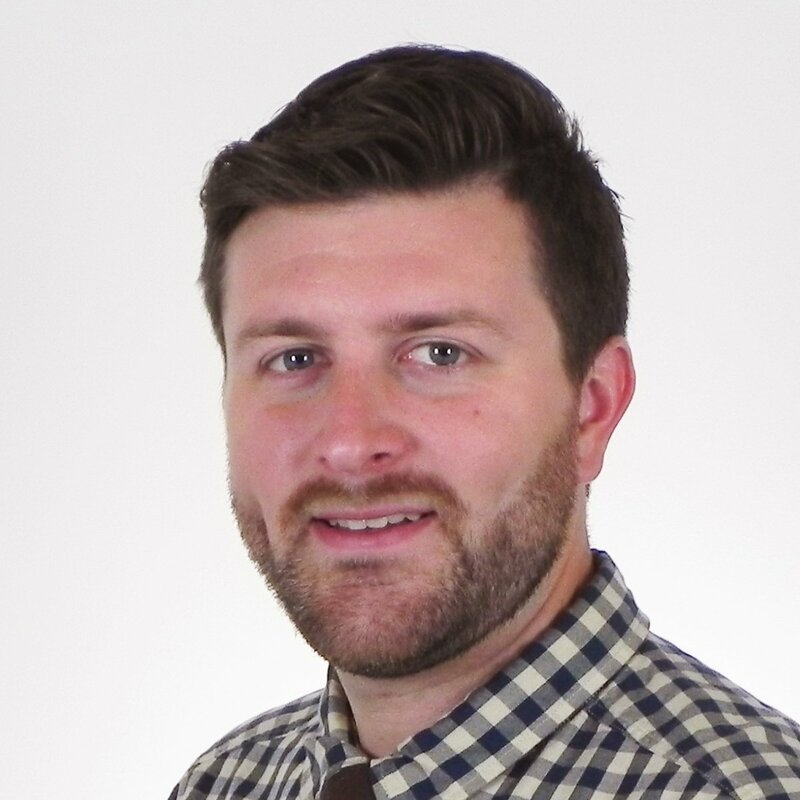 With regards to the first bullet point, SPCC Plans are unlike most other environmental regulations in New Jersey in that there is very little cost, and in some cases no costs, to get into compliance with the regulations. There is no reporting, no sampling, nothing submitted to the NJDEP, etc. We always tell people this: expect to pay a little up front to get into compliance with your SPCC Plan (by doing things like buying labels or spill kits) and a meager, on-going cost for required annual SPCC Training. Other than that, there is no fee, application costs, or anything on the state level. This is one of, if not the cheapest and easiest environmental regulations to deal with. Now the second point, the cost to have someone do this for you. First off, if you meet the criteria (more on that in a second), you might be able to do this yourself. If that's the case, it will cost you your time, but nothing else. If you can't, or don't want to do this yourself, you can expect to spend anywhere between $1,500 and $25,000+ on a SPCC Plan in New Jersey. Why the HUGE range in cost? Simple. If you're a small, one bay garage with three 500-gallon above ground storage containers, the plan you need is simple and easy to develop, so expect something around $1,500 or so. If you're running a larger industrial facility with a variety of containers, piping, maybe some stationary equipment with integrated fuel tanks, etc., you could be looking in the several thousand dollar range. If you're a large operation with dozens of high-capacity containers spread out over a large area, and you need surveying or engineering work done to illustrate or create secondary containment features, you could be looking at tens of thousands of dollars. Point is, it all depends on the size, complexity, and amount of work that goes into developing the SPCC Plan. When working for our customers, we've found that on average, most SPCC Plans in New Jersey cost $1,800 to $4,500, all depending on factors specific to your facility. Some large facilities in New Jersey need low-cost Tier I SPCC Plans, while some small operations need more complex Tier II PE Certified SPCC Plans. Some plans could be cheaper, some could be more expensive, it all depends. You can learn more about SPCC Plan costs by checking out our article How much does a SPCC Plan cost? Can I develop a SPCC Plan in New Jersey myself? It's your responsibility to develop and implement the SPCC Plan at your operation, which means either do it yourself, or hire an expert. But, there are instances where you will not be able to do it yourself. Here's why. If you facility has 10,000-gallons or less of oil storage capacity (capacity, not actual volume), then you can either develop a Tier I or Tier II SPCC Plan for your facility in New Jersey, and "self-certify" it. Like anything else in life, you need to know what you're doing! If you have no experience in environmental regulations, oil storage practices, etc., it might not be in your best interest to do this on your own. If you don't fall into that category, (10,001 and greater of oil storage capacity) then you'll need a SPCC Plan certified by an professional engineer. Also, if you've had spills in the past, you'll need a PE certified SPCC Plan. You can learn more about that here in our article Professional Engineers & SPCC Plans. Why do I need an SPCC Plan in New Jersey? 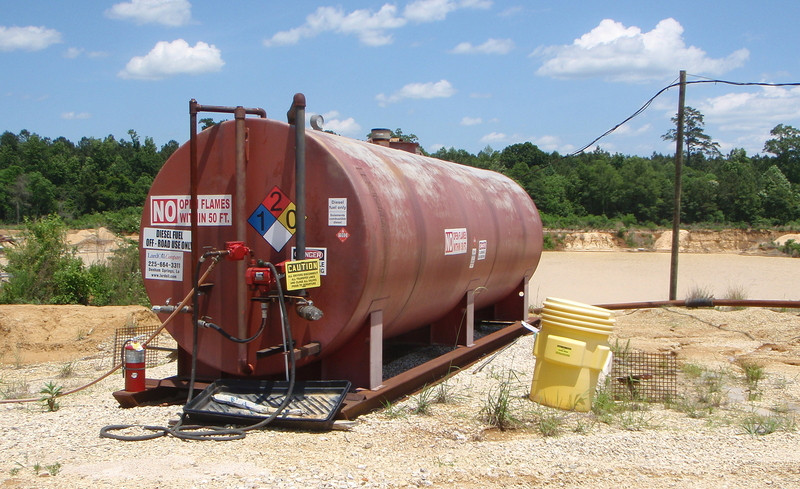 If you have 1,320-gallons of oil storage capacity on-site, in containers 55-gallons or larger, you need a SPCC plan. 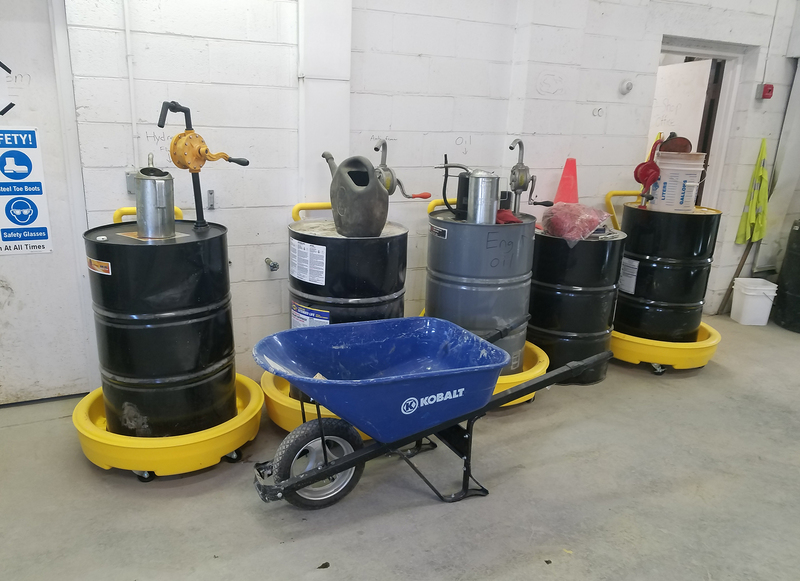 This includes any container, including drums, totes, mobile tanks, oil-filled equipment, and other potential oil bearing containers or equipment (fuel tanks, generators, hydraulic pumps, etc.). And notice I said storage capacity, not actual volumes. So if you have a 1,000-gallon storage tank, but only ever keep it half full, in the eyes of SPCC regulations you have 1,000-gallons. 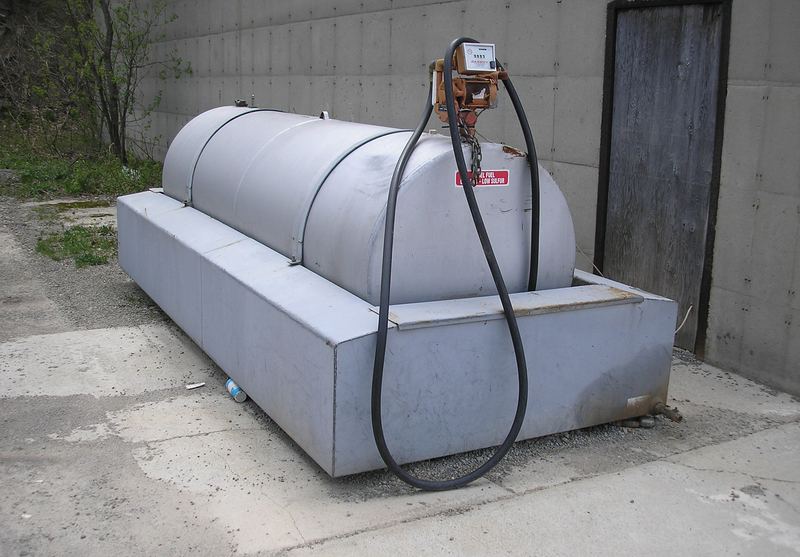 If you have 42,000-gallons of oil storage capacity on-site in underground storage containers. If you meet either (or both) of those criteria, you need a SPCC Plan. There's another consideration, but I hate to mention it. Your facility has to be capable of releasing oil that could enter navigable waters of the State of New Jersey (or the US), or adjoining shorelines. This is where a lot of people incorrectly go "great, count me out than". For the most part that's incorrect. In New Jersey, industrial operations are covered under NJPDES stormwater discharge permit regulations, or what people commonly call stormwater permits. If you run an industrial operation, you need a stormwater permit. If you need a stormwater permit, it's because your facility can discharge stormwater. If you can discharge stormwater, which is a liquid, that means you can discharge oil, which is also a liquid. Stormwater entering ditches, gullies, or even municipal drainage systems that eventually drain to waters of the State of New Jersey means your facility could discharge oil to navigable waters as well. It doesn't matter if you're in the middle of Jersey City or Cumberland County, if your operation has a NJPDES stormwater permit, then you could reasonably be expected to discharge to navigable waters. If you are strictly a discharge to groundwater facility here in New Jersey, you MIGHT be able to argue getting out of a SPCC Plan, but good luck arguing with the USEPA (here's a hint, we've never seen anyone win but the USEPA). If you don't have a NJPDES permit at all, it's a bit more complicated, and your location and discharge potential will have to be evaluated on a case by case basis. Are there different kinds of SPCC Plans in New Jersey? There is the Tier I SPCC Plan for facilities with 10,000-gallons or less of oil storage capacity, no above ground containers with capacity greater than 5,000, and no spills in the past 3 years. This plan is small, simple, and relatively easy to live with. There's even a free SPCC Template on the USEPA's website which is... passable. It's good since it's their template, but at the same time i's not overly clear on what is needed or expected. To get more information on this type of plan, check out What is a Self Certified Tier I SPCC Plan? Next up is a Tier II SPCC Plan. This again is for facilities with 10,000-gallons or less of oil storage capacity, with at least one container with capacity greater than 5,000-gallons, and no spills in the past 3 years. It's a bit longer, more complex, and requires someone know what they're doing when they put the plan together. To learn more, check out What is a Tier II Self Certified SPCC Plan? Remember how I said we like to say there's 3 plans? If you don't fall under either of those two previous categories, you'll need a Tier II SPCC Plan certified by a PE. You can learn more by reading What is a PE Certified Tier II SPCC Plan? How long does it take to get a SPCC Plan in New Jersey? Getting a SPCC Plan in New Jersey, or any state, is going to depend on how complex of a facility you have, and who's preparing it. If you have a simple operation, a good environmental consulting company (like us) could put a SPCC Plan together within a few weeks, or quicker if need be. More complex operations might take some additional time, but figure anywhere from 2 weeks to 2 months to get the plan done, start to finish. If you're preparing it on your own, that's going to depend on how much time you can throw at putting on together, and how much experience you have with environmental regulations. You can read more about it in our article How long does it take to get a SPCC Plan? What will I need to do with an SPCC Plan once I get one? Get into compliance with the regulations, which could mean anything and everything from building or buying secondary containment for containers, purchasing spill kits, adding labels and signage to your containers, etc. Conduct monthly inspections. If you already have a NJPDES permit, we recommend you doing both at the same time! Conduct one comprehensive annual inspection. 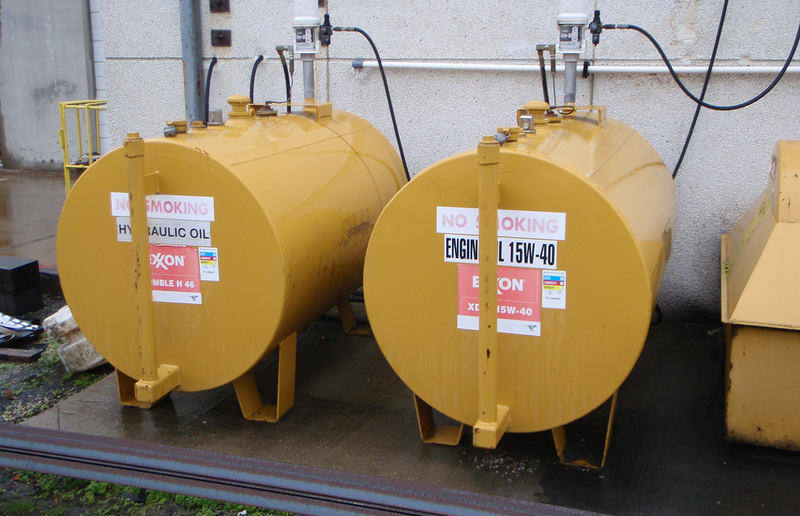 Conduct one annual training session for anyone who handles oil or oil containing equipment. Record drainage from diked storage areas (secondary containment). In case of a spill, leak, or accident, you'll need to fill out paperwork in the SPCC Plan. And that's it. Just like anything else, as you go throughout the year and your operation changes, you add or change around tanks, your facility setup, staff or management, the company name, contact phone numbers, start storing 55-gallon drums of different products, get new equipment, etc., you'll need to revise your plan. It might sound like a lot, but all in all, there's not that much to do! Does a SPCC Plan in New Jersey require a permit or approval from the NJDEP? Nope! Unlike other environmental regulations, even Federal regulations, SPCC Plans don't need an application, aren't an approval or permit, and don't get submitted to anyone in New Jersey, such as the NJDEP or the USEPA. You don't need to provide a copy of your SPCC Plan to anyone. How come the NJDEP, my county, or city regulator here in New Jersey haven't asked about my SPCC Plan? Simply put, because it's not their job to. SPCC Plans are not specific to New Jersey, so the NJDEP, your county guy, or even someone from the local municipality or city offices won't ask to see it because it's not their program to administrator or enforce. Yes, sometimes they might poke around them, ask to look at them, or inquire about whether or not you have one, but they don't have any say over SPCC Plans. It's not their regulation to regulate, so 99 times out of 100 they don't ask about them. That doesn't mean you should blow off anyone from the NJDEP, ignore them, or be nasty should they ever bring one up to you. It's very easy (and we've seen it happen several times now) for a NJDEP inspector, county, or local guy to work his way up the food chain and get someone who can enforce SPCC Plans to your site. It's a quick drive from USEPA's regional office in Philadelphia, so if they want to get out in the field and enforce some regulations, that's very, very easy for them to do here in New Jersey. You can learn more about this in our article Who enforces SPCC Plans? Will I get in trouble if I don't have a SPCC Plan in New Jersey? If the USEPA comes to your site, you could either get in trouble for not having a plan (fine, violation, etc. ), or they may simply require you obtain one without any punishment, and will check back again in the future to make sure you're in compliance. It's like speeding down the highway. Are you going to get caught? It's a gamble. You could never see a police officer, or you could get busted the first time you take your car on the road. We always tell customers, the cost for non-compliance (fines, violations, temporary shutdowns) is much, much more than the cost of just getting into compliance and doing things correct right off the bat. Now if the NJDEP comes into your site and you don't have a SPCC Plan, it's hard to say what will happen, but since they don't enforce SPCC regulations, there's a chance they might not bring it up at all. Are SPCC Plans the same as DPCC Plans in New Jersey? The short answer is no. The long answer is kind of. For those that don't know, in New Jersey, there are things called Discharge Prevention, Control, and Countermeasure Plans. These DPCC Plans are specific to the State of New Jersey, and are for what are considered "major facilities", which are operations with either 20,000-gallons or more of hazardous substances, or for facilities with 200,000-gallons or more of all hazardous substances, including petroleum products. These are very similar, but they are not the same by default. It may be possible to have one plan that satisfies both requirements, but just having one does not automatically mean you're covered for both. So if you have a lot of petroleum on-site at your operation in New Jersey, as well as other hazardous substances, you may need a DPCC Plan in addition to a SPCC Plan. Are there additional SPCC Plan considerations for New Jersey operations? You bet! Having a SPCC Plan at your business in New Jersey unfortunately means a world of different things. For example, some businesses need SPCC Plans due to containers integrated into generators or other equipment. If that's the case, you might need air permits for these pieces of equipment. Having a SPCC Plan means you might need to conduct Tier II Community-Right-to-Know Reporting, a form of hazardous materials reporting that falls under EPCRA regulations. Again, this is done differently in New Jersey than other states, and there are specific reporting requirements in every state. Depending on the amount of oil on-site, you may even need to conduct TRI Reporting, another form of hazardous materials reporting, but this regulation (like SPCC Plans) is handled by the USEPA, not the NJDEP here in New Jersey. If you need to conduct TRI Reporting, it's a given you'll also need to conduct RPPR Reporting, which is a specific reporting requirement only for operations here in New Jersey. There may be other environmental considerations at your operation, it all depends on the particulars of where you're located and what you do. Need SPCC Plan help in New Jersey? Are you looking for help with SPCC Plans in New Jersey? If so, you've come to the right place. RMA has been actively involved in developing, training, and helping facilities stay in compliance with their SPCC Plans and regulations since our founding in 1992. We know the ins and outs of the environmental challenges businesses in New Jersey face all too well. We've been on-site at hundreds of industrial facilities across New Jersey, from multi-state company's regional facilities, to small, individually owned mom and pop operations. No matter your business's size or industry, we can help. So if you're having any type of issue at your facility in New Jersey, with SPCC Plans or anything else, we'd love to talk and learn how we can help. To reach out, feel free to shoot us an email at info@rmagreen.com, click here to contact us, or give us a call anytime at 888-RMA-0230 to learn how we can help.